Emmerson Mnangagwa who was fired by Robert Mugabe will now be sworn in as Zimbabwe’s president on Wednesday or Thursday, Zanu-PF legal advisor has announced. Mugabe following Military takeover, ZANU-PF decision to fire him from the party and impeachment proceedings in Parliament, the 93 year old Mugabe resigned as president through a letter he sent to the Speaker of the National Assembly. 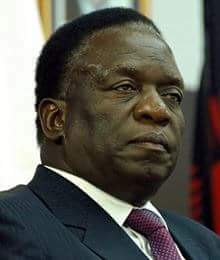 Mnangagwa who had fled the country after his sacking saying Mugabe was plotting to kill him is expected in the country to take over as he promised when he left the country. The Zanu-PF Central Committee reinstated Mnangagwa in the party and now says he will finish Mugabe’s term office as the country is expected to hold elections in 2018.